Obama a Traitor: Eight Years betrays long time allies Israel & Egypt, supports Sunni Arab Uprising to affect Regime Change in Libya & Syria. [by Ben Shapiro: 20 Mar 2015.] On Thursday, the press announced that the Obama administration would fully consider abandoning Israel in international bodies like the United Nations. According to reports, President Obama finally called Prime Minister Benjamin Netanyahu to congratulate him – but the “congratulations” was actually a lecture directed at forcing Netanyahu to surrender to the terrorist Palestinian regime. 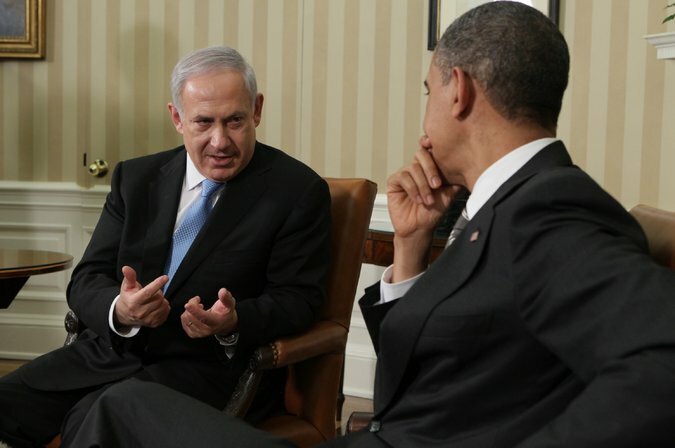 For some odd reason, many in the media and Congress reacted with surprise to Obama’s supposedly sudden turn on Israel. The media, in an attempt to defend Obama’s radicalism, pretend that Netanyahu’s comments in the late stages of his campaign prompted Obama’s anti-Israel action. But, in truth, this is the culmination of a longtime Obama policy of destroying the US-Israel relationship; Obama has spent his entire life surrounded by haters of Israel, from former Palestine Liberation Organization spokesman Rashid Khalidi to former Jimmy Carter National Security Advisor Zbigniew Brzezinski, pro-Hamas negotiator Robert Malley to UN Ambassador Samantha Power (who once suggested using American troops to guard Palestinians from Israelis), Jeremiah Wright (who said “Them Jews ain’t going to let him talk to me”) to Professor Derrick Bell (“Jewish neoconservative racists…are undermining blacks in every way they can”). February 2008: Obama says while campaigning, ‘There is a strain within the pro-Israel community that says unless you adopt an unwavering pro-Likud approach to Israel that you’re anti-Israel.” At the time, as Dan Senor pointed out in The Wall Street Journal, Israel was run by the Kadima government run by Ehud Olmert, Tzipi Livni, and Shimon Peres, and was attempting desperately to bring the Palestinians to the table. Instead, the Palestinians launch war, as always. March 2009: The Obama administration reverses the Bush era policy of not joining the United Nations Human Rights Council. Secretary of State Clinton said, “Human rights are an essential element of American global foreign policy,” completely neglecting the UNHRC’s abysmally anti-Semitic record. Except for Israel forcibly removing thousands of Jews from the Gaza Strip, the election of Hamas, and the launch of war by the Palestinians and Hezbollah, nothing happened. Obama then lectures the Jews about the need for Israeli “self-reflection.” The same month, Obama tells CNN that the United States would “absolutely not” give Israel permission to strike Iran’s nuclear facilities. Obama’s definition of Israeli settlements, as the world soon learned, included building bathrooms in a home already owned by Jews in East Jerusalem. Obama offers no serious criticism of the Palestinians. March 2010: Obama follows up on his threatening language about settlements by deploying Vice President Joe Biden to Israel, where Biden rips into the Israelis for building bathrooms in Jerusalem, the eternal Jewish capital. David Axelrod calls the building plans an “insult” to the United States. When Netanyahu visits the White House a week and a half later, Obama makes him leave via a side door. December 2011: Secretary of State Hillary Clinton rips into the State of Israel, stating that it is moving in the “opposite direction” of democracy. February 2012: Secretary of Defense Leon Panetta tells David Ignatius at the Washington Post that the possibility he worried about most was that Israel would strike Iran. The Post then adds, “Panetta believes there is a strong likelihood that Israel will strike Iran in April, May or June – before Iran enters what Israelis described as a ‘zone of immunity’ to commence building a nuclear bomb.” The goal: to delay any potential Israeli strike. March 2012: NBC News somehow gains information from “senior Obama administration officials” that Israel had financed and trained the Iranian opposition group Mujahideen-e-Khalq, and adds that the Obama administration had nothing to do with hits on Iranian nuclear scientists. Foreign Policy also reports that a “senior administration official” has told them, “The Israelis have bought an airfield, and the airfield is Azerbaijan.” Again, a potential Israeli strike is scuttled. June 2012: In an attempt to shore up the Jewish vote, top members of the Obama administration, including Barack Obama, Joe Biden, and then-CIA director Leon Panetta were quoted by David Sanger of The New York Times talking about the President’s supposedly deep involvement in the Stuxnet plan to take out Iran’s nuclear reactors via computer virus. Until that point, it had been suspected but not confirmed that Stuxnet was an Israeli project. The Obama administration denied leaking the information. A year later, the State Department released emails showing that Sanger had corresponded regularly with all the top Obama officials, including correspondence on Stuxnet. 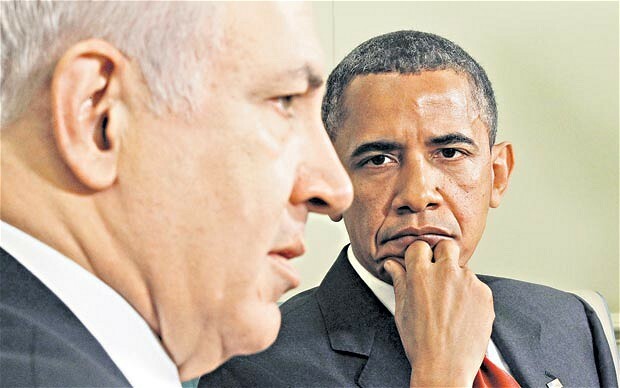 June 2013: The Obama administration leaks specific information regarding Israeli Arrow 3 anti-ballistic missile sites. Weeks later, US sources tell CNN that Israel attacked a Syrian installation full of Russian-provided missiles. The same month, “American intelligence analysts” tell the New York Times that Israeli strikes had not been effective. All that information was classified. June 2014: Three Jewish teenagers are kidnapped, including an American, and murdered by Hamas. The Obama administration immediately calls on Israel for restraint, and says it will continue to work with a Palestinian unity government including Hamas. Throughout the ensuing Gaza War, in which Hamas fired rockets at Israeli civilians and tunnels were uncovered demonstrating Hamas’ intent to kidnap Israeli children, the Obama administration criticized Israel’s prosecution of the war. October 2014: Jeffrey Goldberg, court Jew for the Obama administration, releases an article in The Atlantic quoting Obama officials calling Prime Minister Benjamin Netanyahu a “chickenshit.” Goldberg, naturally, blames Netanyahu (of course, he also wrote in 2008 that any Jew who feared Obama on Israel was an “obvious racist”). January 2015: Obama deploys his campaign team to defeat Netanyahu in Israel. A group titled “One Voice,” funded by American donors, pays for the Obama campaign team, led by Obama 2012 field director Jeremy Bird. The announcement comes days after Speaker of the House Rep. John Boehner (R-OH)’s invite to Netanyahu to speak before a joint session of Congress. Obama quickly announced he would not meet with Netanyahu, making the excuse that the meeting would come too close to the election. March 2015: Netanyahu wins. 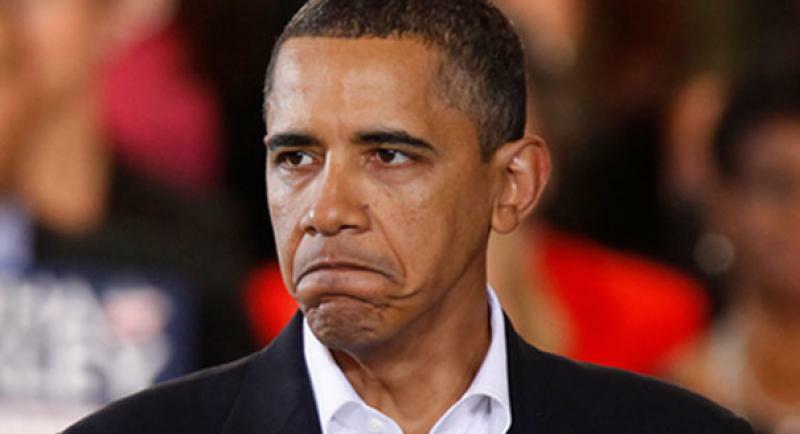 Obama refuses to call him to congratulate him for two days. When he does, he threatens to remove American support in the international community, even as he moves to loosen sanctions and weapons embargoes on Iran.